According to the folks at the Gulf Coast Bird Observatory, life’s better with birds! Located at 103 West Highway 322 in Lake Jackson, the observatory sits on 34 acres of Columbia Bottomland forest. Had it not been for my wife Cheryl, I might never have visited the observatory. 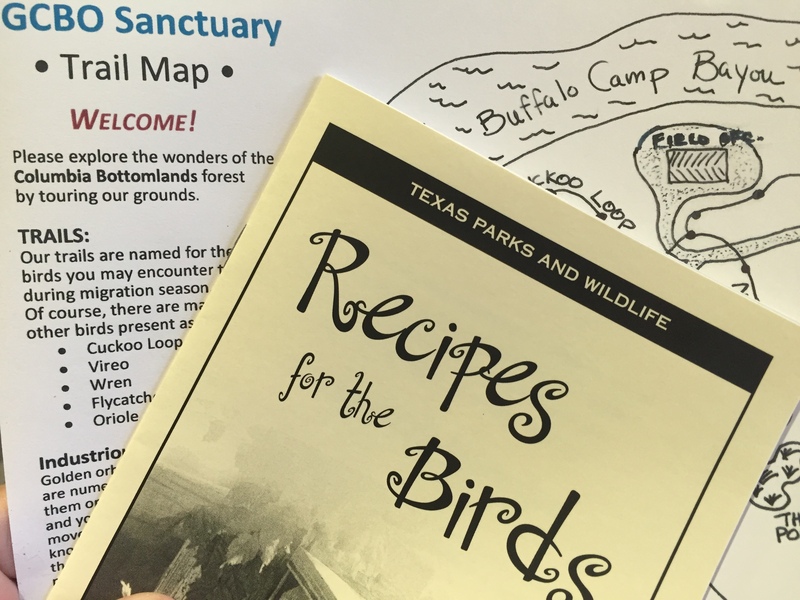 She invited me to join her for her Texas Master Naturalist class on ornithology led by Chris Eberly, the Executive Director of the observatory. “We’ll also get to see how they band birds,” she said. That sounded too interesting to pass up. Eberly and his team believe that life’s better with birds for good reasons. Birds do more to help our environment and our Texas economy that most people realize. The mission of the Gulf Coast Bird Observatory is to protect birds and their habitats around the Gulf of Mexico and beyond. Why? Because migratory birds benefit us through pollination, seed dispersal, and pest control. Beyond that, bird-watching contributes more than five-billion dollars annually to the Texas economy. The ecoregion known as the Columbia Bottomlands includes the thick forest along the southeast coast of Texas. An estimated 29 million migratory birds pass through the Columbia Bottomlands every year. Think of this ecoregion as a hotel for migratory birds, many of which fly hundreds of miles on their migration routes. Migrating birds lose as much as one-third of their body weight. These birds stop to rest and to replenish their strength in the insect-rich woods before they continue their perilous journey north. 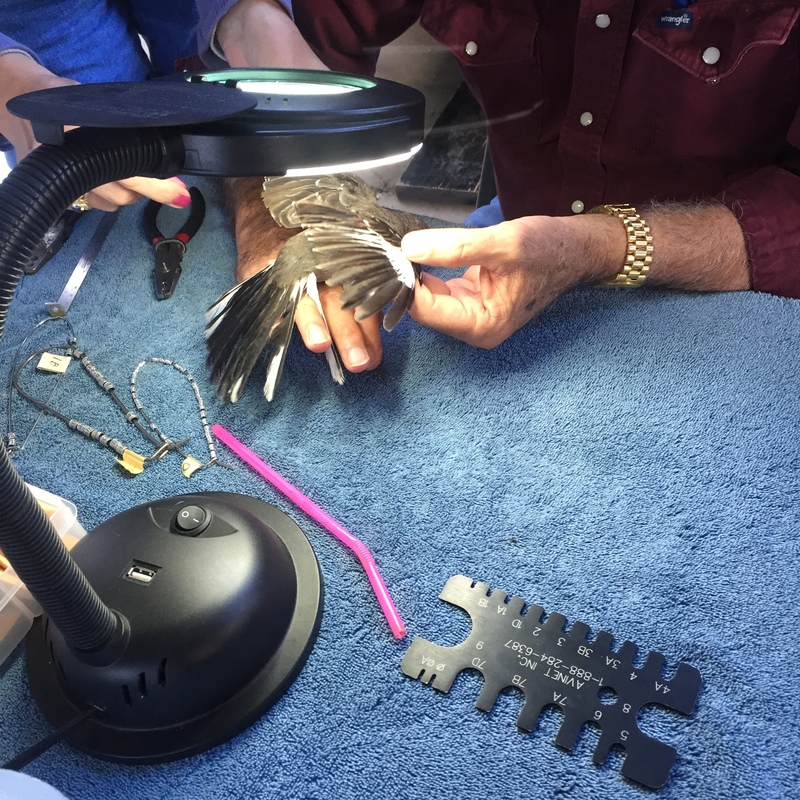 On the third Saturday of every month, the Gulf Coast Bird Observatory conducts a bird banding event that helps them collect baseline data on bird populations at the sanctuary. Robert and Kay Lookingbill operate the banding program. They share the information they gather with a national database that tracks the movement of birds and ultimately helps scientists better understand how to protect birds and their habitats. I found the whole banding experience fascinating to watch. I have never before had an opportunity to see such a variety of beautiful birds so up close and personal. Robert and Kay handled each bird with the utmost care and recorded every detail about each of the birds — weight, wingspan, body fat, and more. They know their stuff and answered a lot of questions from those of us in attendance. In addition to visiting our state parks, consider a trip to the Gulf Coast Bird Observatory. The self-guided nature trails are open Monday through Saturday from 8:30 AM to 4:30 PM. 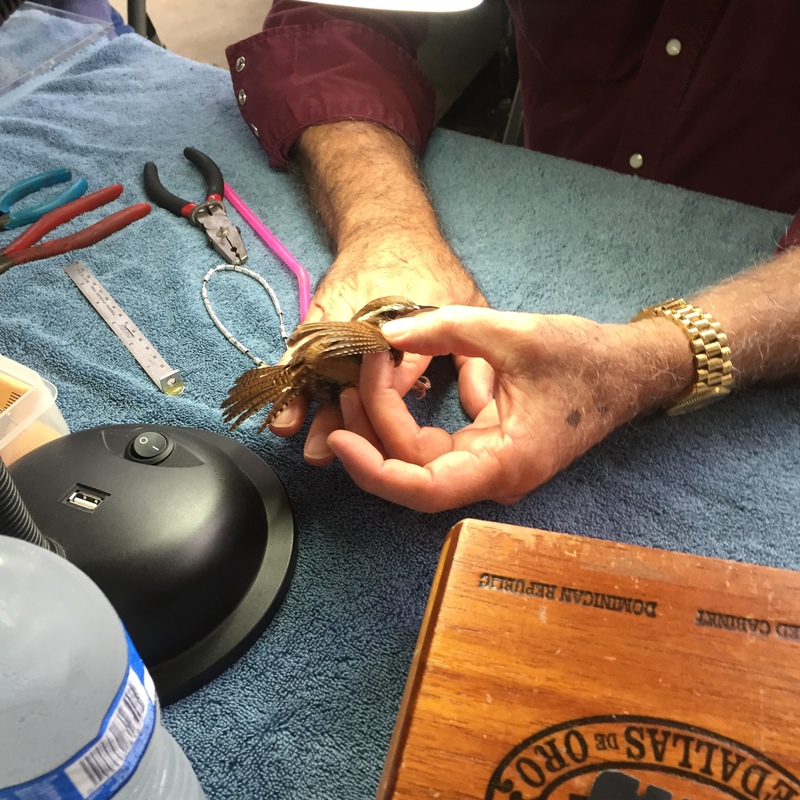 The monthly bird-banding operation is free of charge and no reservations are required. 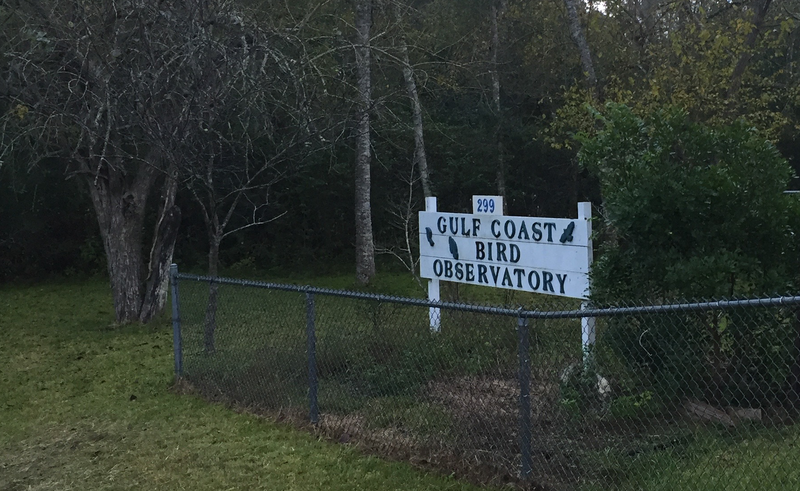 For more information on the Gulf Coast Bird Observatory visit their website. It’s a great place for adults and kids alike. Once you visit you too will agree that life’s better with birds! 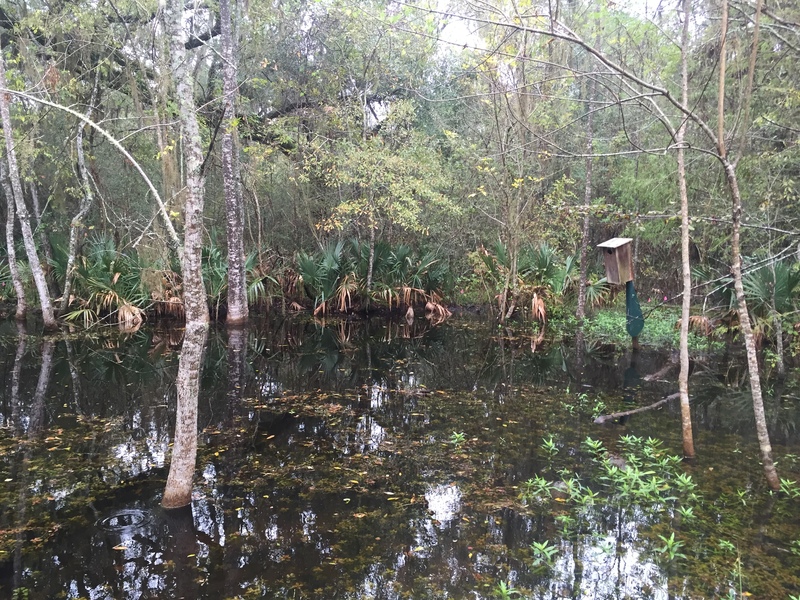 This entry was posted in Flora and Fauna and tagged Chris Eberly, Columbia Bottomlands, Gulf Coast Bird Observatory, Robert and Kay Lookingbill. Bookmark the permalink.